Renia Carsillo joins us after a short break and she’s on a mission to help you rank higher on search. Can you think of businesses within 100 mile radius you want to connect with? If the answer to that question is yes, this is a Grow Live you’re definitely going to want to take notes on. Keep reading to learn more about how your Google My Business profile can help you rank higher in search. Who should own your business listing? “Google says all search is local,” — Renia Carsillo, Director of Digital Strategy at Spinstak Growth Agency. Today’s call to action: Leave us a comment with your Google My Business listing and we’ll offer some suggestions on how to optimize it further. Go ahead and set up your profile today. If you need help setting up your Google My Business profile, give us a shout! Go to www.spinstak.com or call us at 866-270-0810. Don’t miss next week’s show! Matt returns and is ready to talk sales tactics. You won’t want to miss it! Look outside your window. Are there businesses within a hundred mile radius of you that you would like to do business with? Then today's episode of Grow Live is for you. 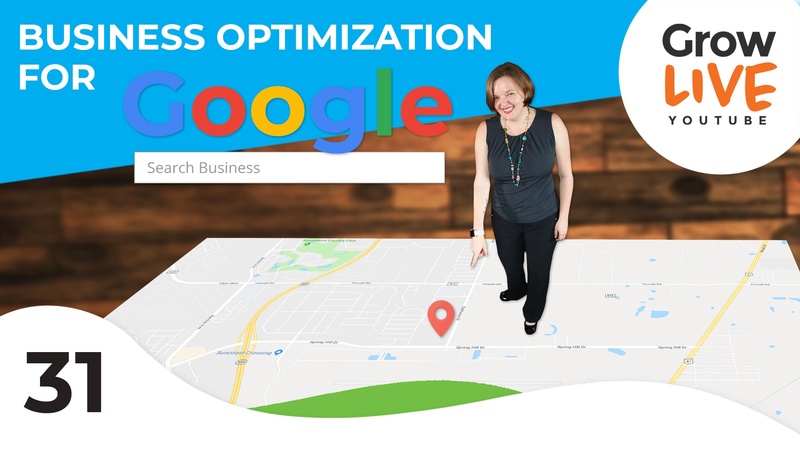 Learn how to optimize your Google My Business profile so that you come up first in search results every time. How do you use Google My Business? Tell us about it in the comments below, and we'll send you some swag. Hi, I'm Renia with Spinstak Growth Agency. Wow. I'm still learning how to say that. Welcome back to Grow Live everybody. I've been out for a couple of weeks, and I'm super excited to be back with you. Matt is on the road actually on the way to visit a client. I'm taking over today with another super nerdy sproutisode. Welcome back. If you're watching us live here on Facebook, you can catch the show replay here or in beautiful HD on YouTube. You can also grab the podcast wherever you like to listen to podcast. I prefer iTunes, but I know that's debatable for some people. Don't forget to leave us a review or a comment to enter to win some cool swag from the Spinstak team. Today we are talking about your Google My Business listing. No, it's not just for restaurants. It's for you too. Leave us a comment maybe with the link to your Google My Business listing below and tell us how you use this unique function of search to help grow your business. Somebody really smart said, I don't know, sometime but I first heard it when I was a kid, that all business is local. I'm sure you've heard that before, and yet many of us as distributors and suppliers we are trying to target large national search results, brands all over the place. We may have skipped this really critical easy to use tool that will help you rank number one in your specific area on Google over and over again. It's literally one of the easiest search tools out there. Google says all search is local. What I want you to do to know if Google My Business is right for you is to walk out into your parking lot. Don't worry. You don't have to do it right. You can do it on your way home, and I want you to look around and think about the cities and towns and businesses and things like that around you in about a hundred mile radius. If there is a business or lots of businesses within a hundred mile radius of you that you would like to have as customers, then Google My Business is for you. That means if you are in a city like Austin or Houston or Chicago or anywhere near places like that, particularly big cities, or even if you are like us, 45 minutes away from Tampa, there are probably literally thousands and thousands of companies that you would like to get business from within a hundred mile radius of you. In fact, we have a client out in Wyoming in a fairly small town that has tons of clients within a hundred mile radius of him that he would love to do business with. My bet is you do too. Google My Business is specifically designed to help you compete with large multinational or large corporate conglomerates as a small to mid-sized business. You want to pay attention to this whether you're a marketing manager or a sales manager or a CEO watching this today because this is one of the easiest strategies that I know for you to get quick search results. Let's talk a little bit about what's happening with Google My Business because I want to remind you what we talked about at the end of last year in, I don't know, they'll tell you in the show notes which episode about SEO. We are experiencing a fundamental shift in the way search functions this year. We need to understand that. If you see that your mobile organic traffic for local or even for national is dropping, it's not necessarily a sign that your SEO campaign is failing, or your clients aren't getting the visibility that they use to. It's that more and more the interactions with your business are happening through knowledge panels, those rich snippets, or NAPs results, that's your Google My Business listing, or clicks to call on a mobile device, which happens from your Google My Business listing. All of those kinds of things are just as valuable, sometimes even more valuable than being on your website itself because those things are optimized for conversions very, very well by the kings and queens at Google. Don't assume that because your organic traffic might be dropping particularly on mobile devices that your search engine work isn't working first of all. If it is dropping, and it isn't working, you're not experiencing more phone calls, optimizing your Google My Business profile is the quickest, easiest, fastest, cheapest way to fix that. How do you do it? Well, there's a few key points. First of all, I want to reemphasize that this is not just for small local companies like restaurants and landscapers. If you are distributor who has customers within a hundred mile radius and that's most of our customers or if you are a multi-location larger company, say you have locations in lots of different specific cities or towns that you want companies in those areas to go to that specific location, Google My Business is for you. It's critical that you handle this right because your Google My Business listing is fairly unforgiving. It relies on a very specific algorithm to determine who comes up at the top, and you want to win that. The number one way to do that is making sure that you have the correct data. It's really simple to do this. If you don't own your Google My Business profile, the first thing you're going to need to do is go claim it and set it up. If you need help doing that, after the show you can go over to our YouTube channel, and we have a great little video for you over there to show you how to set up and claim your Google My Business listing. Once you have it, you want to make sure that that data is correct. That relies on something called a NAPs profiles, name, address, phone number. Those things need to be 100% consistent across all local listings, and that just doesn't mean on your Google My Business. It means on Yelp, on your website, on Facebook, on your LinkedIn profile, on listing services for businesses like Manta or Chamber of Commerce or Better Business Bureau. Your listing needs to be exactly the same, same phone number, same address, same name structured in the same way. Making sure that data is correct is really critical. In fact, you should be checking that at least once every couple of weeks. If not, weekly because Google My Business relies partially on user generated content. That's people who have visited Google Maps and left information about that business on Google Maps. Somebody else who has a high authority rating with Google as a Google guide or something like that could leave a change of address, or a change of phone number on your Google My Business and Google accept that if they are a trusted source. Yes, that includes your competitors. It is one of the unfortunately most damaging black hat SEO techniques that we see happening right now, and you must monitor your listings to guard against that kind of thing. Once you have the correct data, the next thing you're going to do is make sure that your profile is complete. That means if you have not checked your Google My Business profile in, I don't know, since you set up your website or in several years, you're going to want to go and check it right away. I would do it by the end of this show today because Google My Business at the end of last year rolled out a whole suite of new tools for you including real time posts like you would do on Facebook, messaging where people can actually message you directly, lots of new insights, way bigger expansion of photos and what you can submit there. Oh, and an app was just rolled out in the last several weeks for you to manage that Google My Business profile. There's a huge amount of intentionality around providing tools that you can use to help your company show up in a search result without ever having to get them on your website. Now that can sound pretty scary for marketers because we rely on generating content for websites and stuff like that. It's really important to us, right, but this is a great thing for you as a business because it can help you get quick wins while you're building up the bigger national search terms or while you're building up the content to convert leads. This can help you to get those quick wins on purchase generated searches and things like that that you need while you're going through your content building efforts. Particularly the posts feature where you can add specials or events that you have coming up or trade shows that you will be at, that will push your Google My Business profile higher. The great thing about this right now is because it's a new feature, not lots of companies are using it yet, which means you have the early adopter advantage if you use this feature now. I highly recommend that you get in there and get that profile optimized right away. Now the next thing that you want to make sure you're doing with that profile is collecting reviews. We've talked a few times on the show about reviews in the past, and I want to emphasize here the importance of collecting reviews the right way. If you have in business for a while, you probably were engaged in a website 10 years ago, 8 years ago, and you may have participated in some SEO techniques where you bought links, or you had content written in the Philippines or something like that that came back to bite you later. The same thing is true with reviews, and we are expecting as SEOs to go through a major overhaul of the way Google handles reviews in the next 12 to 24 months because marketers ruin everything. You've heard me say that on the show before. You've heard lots of people say that, right? When you go out and get tons of reviews from your friends, your family, buy fake reviews, make up fake profiles, that causes the value of the review system to go down and all platforms need to guard against that. Facebook and Yelp have really great systems in place to guard against this. Google hasn't quite gotten around to that yet, but they are in process. Sometimes you go to a digital marketing class or something like that offered in your area, and they'll have everybody leave each other reviews in the class. That's a really bad thing for your Google My Business listing because Google understands that all of those reviews coming in at the same time from the same place is not natural. It will cause your listing to be pushed down. Think about it this way as we've talked about before. If what you're doing isn't the best thing for the end user, and it's not 100% honest, you probably shouldn't do it. It really is that simple. People first, not search bots. Once you've started collecting reviews, make sure that your messaging is set up. The easiest way to do this now is to download the Google My Business app. It's free on the App Store. You can get it in Google Play or on Apple. It's a really easy simple to use tool that allow you to update your posts all the time and allow you to receive messages from customers directly to your phone where you can interact with them in real time. It's way simpler than any other tool I've seen to do this on your website or on your search results. Take advantage of it. Set it up now. That way when you come up in a search for someone, literally all they have to do is hit message on that Google My Business listing, and they'll send you what for them feels like a text message, what for you feels like a text message, and you can respond in real time. That's really valuable customer interaction that cost you nothing and gets you greater exposure. Once you've set up your messaging, there is one more step that I want you to do that is ... It does take a little bit more work, but only a tiny little bit more work, and that is making sure that you're managing your photos. Your Google My Business profile will walk you through the basic photos that they want. They want photos of the outside of your building and the inside of your building, and the street view if you're a location that customers can visit. Now if your location is not one that customers can visit, and it just serves the area, you don't have to worry about those types of photos. Regardless, you should have pictures of your employees and pictures of product and pictures of things that you are involved with on your Google My Business profile the same way you do on a Facebook page, or a LinkedIn profile. This is new. It's not like brand spanking new, but it's pretty new Google My Business timeline photos in a social way. Take advantage of it and do it now because profiles with more than 25 photos get 80% more views than profiles with less than 25 photos. If you've taken a perusal through some of your competitors, you might see that almost none of them have photos at all. This is an easy place to be at an advantage. You don't need professional photos for this. In fact, Google prefers life shots. Not professional photos for this particular use case. Take your iPhone or your Android phone out into your warehouse, out to your employee's desk and drive a few people crazy snapping some candid photos. It'll really help that Google My Business listing. Now I want to give you in closing a couple of words of caution on managing your Google My Business profile. The first one is the thing that we encounter as an agency all the time, which is somebody set up this profile that no longer works at your company, and nobody knows what email address is attached to it, and we can't get access to it. That requires us to go through a lengthily process with Google that includes submitting your articles of incorporation to prove that you are the owner of the business. It takes forever. It's painful. Nobody wants to do it. Let's avoid that for the future and we can do that in one simple way. Set up your Google My Business listing with a primary email address. For instance, info@Spinstak.com instead of ReniaCarsillo@Spinstak.com, and then add users as appropriate, so that as those users come and go, the business still owns the listing in a normal business address that always exist for the business and you just add and remove users. Another word of note here, your agency, your marketing agency, your SEO agency should not own your Google My Business listing. I won't go too far down the rabbit hole, but your agency should not own your Google Analytics, your Tag Manager, your ads account, any of those things, but especially not your Google My Business listing. This is critical to your business. You should own it. You would not buy a building and give the keys to someone else until you could not get in when you wanted to get in. Do not let your agency own your Google My Business listing. Add your agency representative whether it's us or someone else as a user so that if you part ways, you can remove them. Second thing is manage your locations all under one master listing. It will confuse Google if you have multiple Google My Business instances under the same brand name. They don't want it that way. They want you to manage all of your listings under one brand name. Say you have five or six locations. You should have a top level brand that has all of those individual locations with their individual Google My Business profiles under the same parent brand. By the way, the same thing is true for Facebook. Make sure that that is set up properly or you will be artificially pushed down in the search because you're confusing Google. Our number one prerogative is to be clear so that the search bots can understand how we are actually structured as a company. Then check this weekly. We said it once before and I just want to say it again because this listing is somewhat directed by user generated content, it can change constantly. Sometimes you will get an email from Google asking you to verify the suggestion for the change that was made, but if it comes from a trusted user who is a high level Google Local Guide or something like that, the change will happen without them even telling you that it happened. That can mean that your phone number can be wrong, your address can be wrong, you can have poor reviews that you don't know about. All these things can happen so it's really, really important that you manage that listing. Set yourself a calendar reminder either weekly or at least monthly to go and check that listing and make sure it's accurate, make sure it's up to date and update your posts. If you do it that way, and I know we went through a lot here, but if you manage your photos, use the messaging, make sure your data is correct, manage your users properly, you can rank number one within a hundred mile radius of your business really, really easily, much easier than you can with your website on its own. Walk outside your door this afternoon and think about how many businesses there are within about a hundred miles of your location that you would like to work with. If there are more than a few, and I bet for most of you there, take 20 minutes to set up this Google My Business profile today. 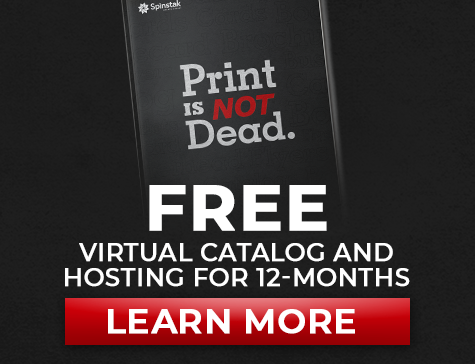 It really will have an almost immediate impact on your business. In fact, you'll be able to see that impact because in your Google My Business Insights, it will show you exactly how many people called, visited, looked at photos or messaged you through that Google My Business listing. The analytics on it are really awesome and easy to understand. In my view, there's almost no reason not to do it unless you sell exclusively online. Like I said, we'd love it if you would leave a comment below with your Google My Business listing and we'll give you some feedback on some things that you might be able to do to improve it. If you haven't claimed yours and haven't done anything with it yet and a lot of the things we're saying are confusing, you can visit our YouTube video after the show on our YouTube channel. We'll put the link in the show notes. We have a little walk through video to show you how to set up your Google My Business profile. Yes, I'm going to take a small marketer moment and say if you really want to knock this out of the park, you can give us a call or send us a message and we can help you optimize your other local listings besides just Google My Business, which will help that rank even further. It's such a simple thing to do. It's my favorite tactic right now. I don't know why any of you wouldn't go out and check it out right now. Matt will be back next week to talk about some sales strategies, but I hope this relatively quick episode, we came in under 30 minutes, will help you guys to do something that'll give you actionable results by next week's show. If you do this today, if you go optimize your profile today, I guarantee you that you'll be seeing results by next week's show. There's not many things in internet marketing that I can tell you have that kind of impact. Go try it and tell us how it works for you. Have a great day everyday. Don't forget that you can see us live on Facebook every Wednesday at noon or you can find us on YouTube and binge past episodes in full HD.